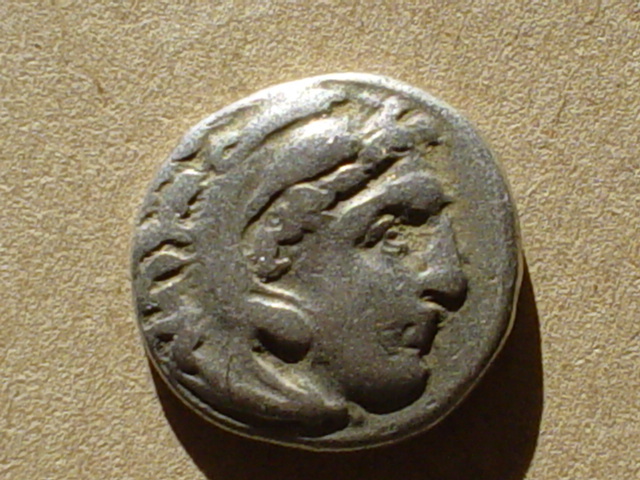 Alexander III the Great, 356-323 B.C. 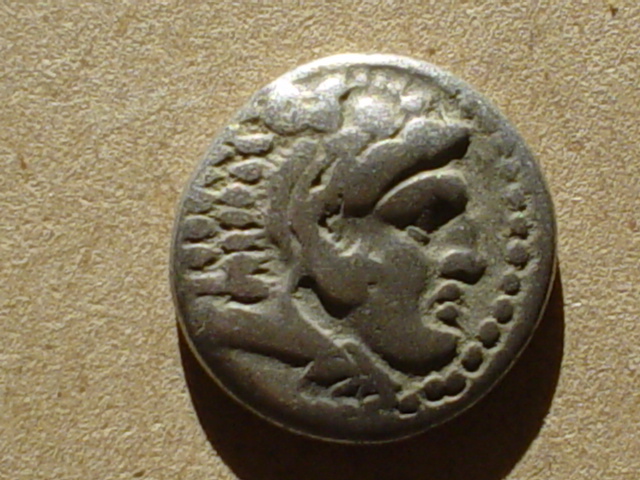 King of Macedonia: 336-323 B.C. 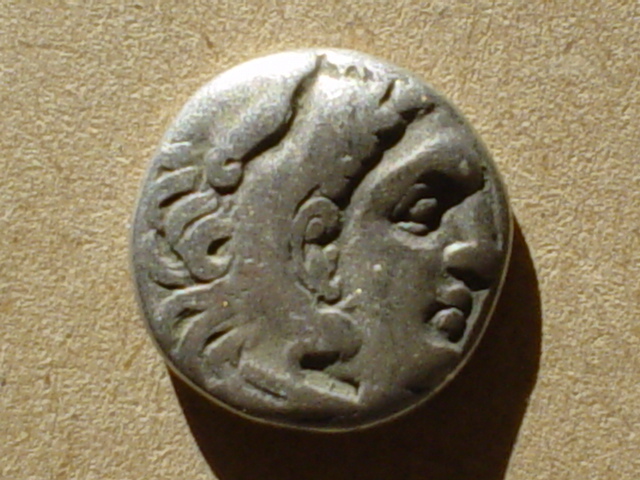 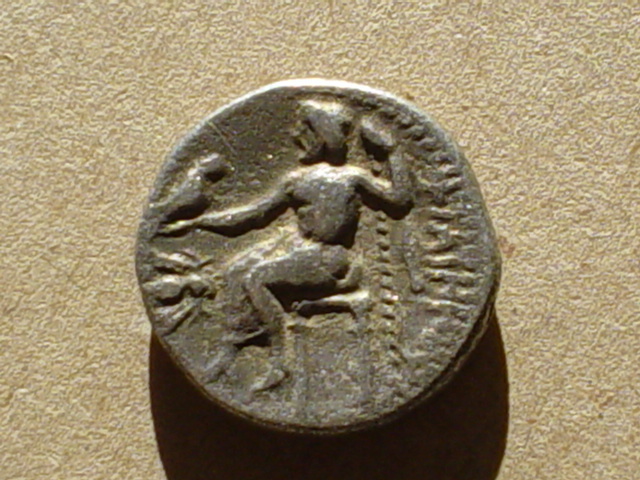 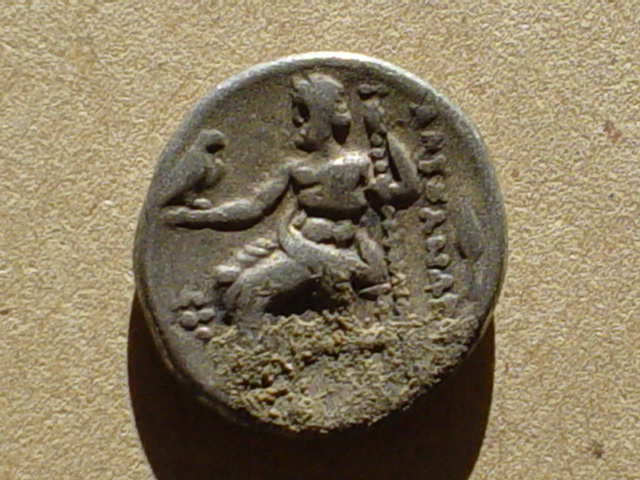 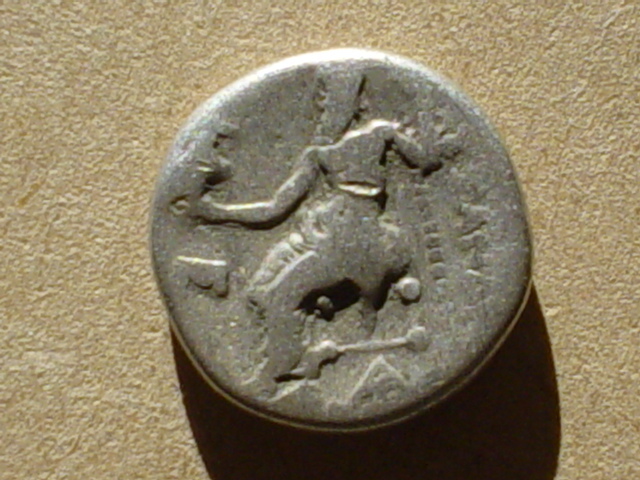 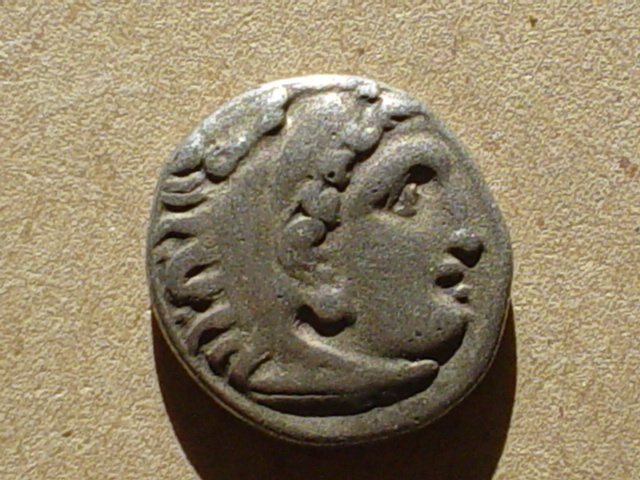 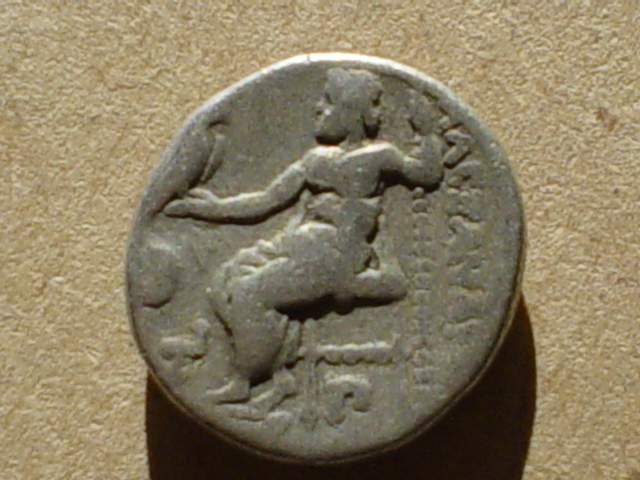 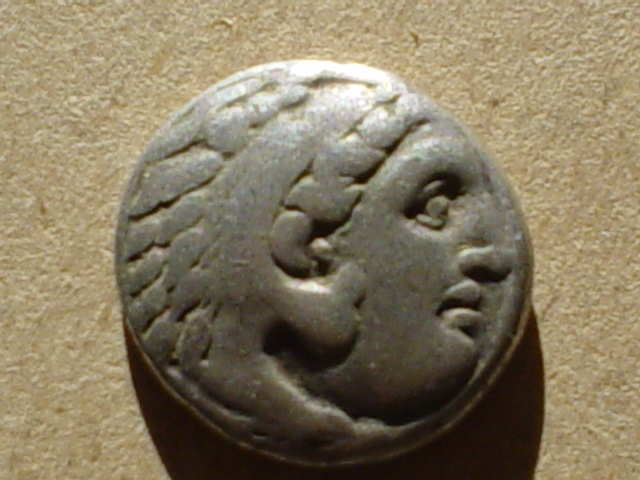 Silver Drachm 17mm (3.86grams) Struck circa 322-301 B.C. 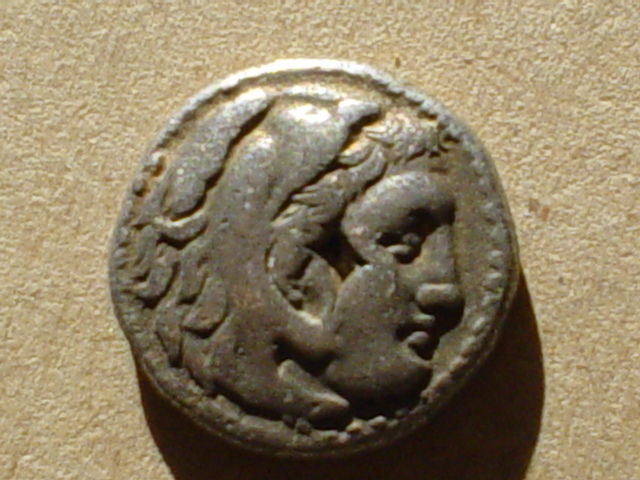 Head of Alexander III as Heracles right, wearing the lion-skin headdress. 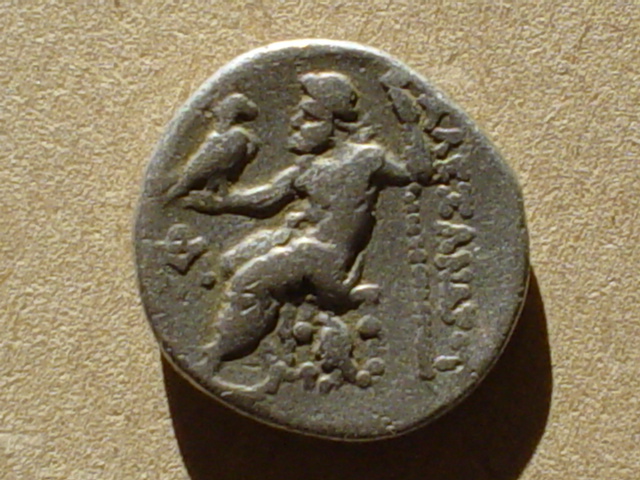 AÎ›EÎžANÎ”Î¡OY, Zeus seated left, holding eagle and scepter, simplum before. 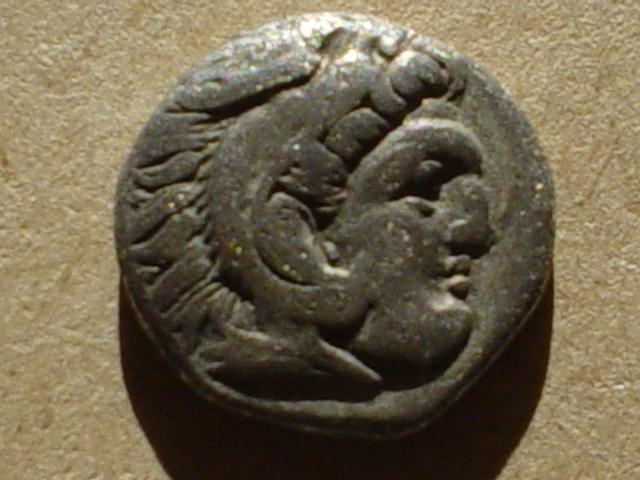 ﻿Mauryan Empire, AR Karshapana, c. 321-187 BC. 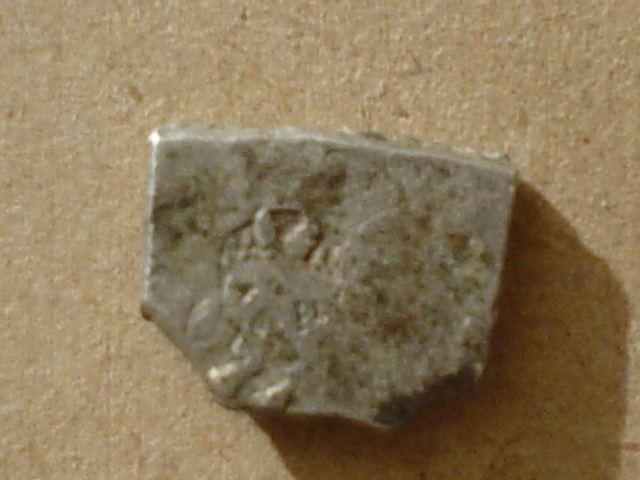 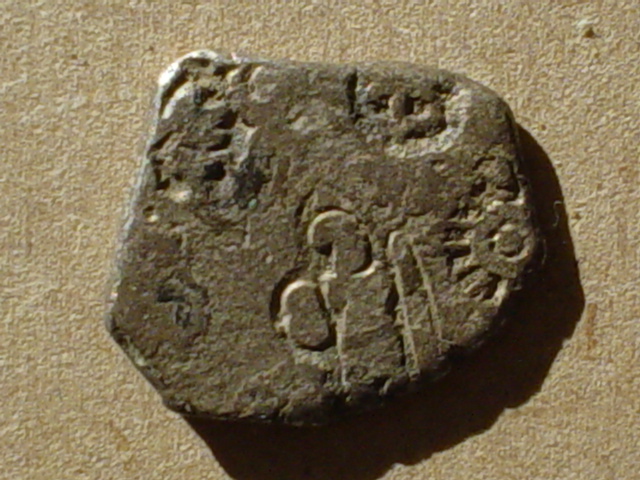 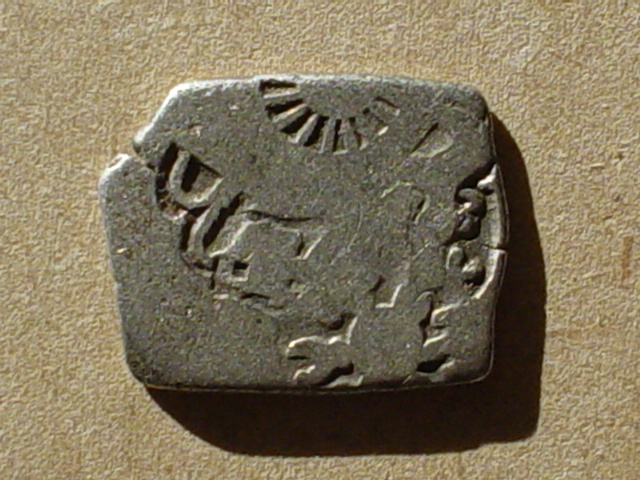 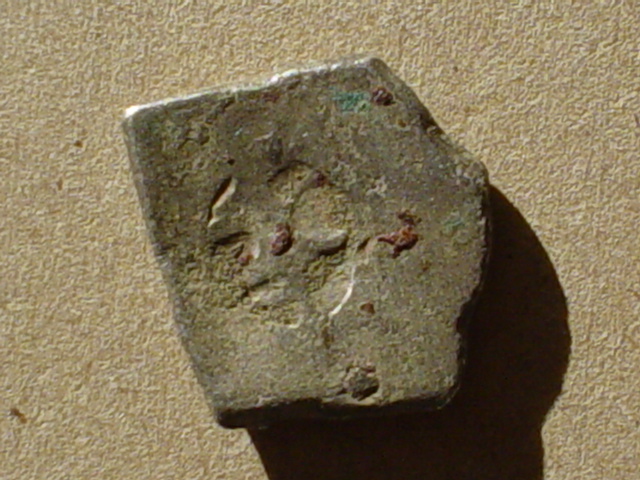 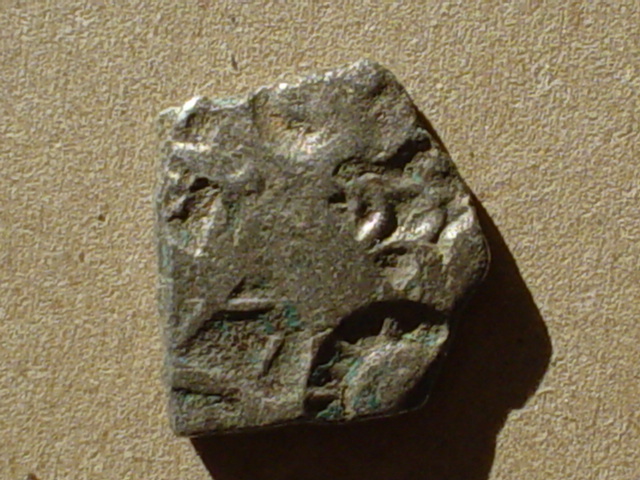 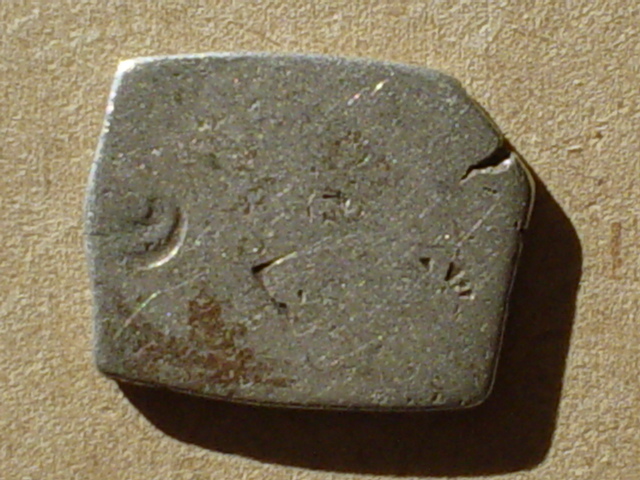 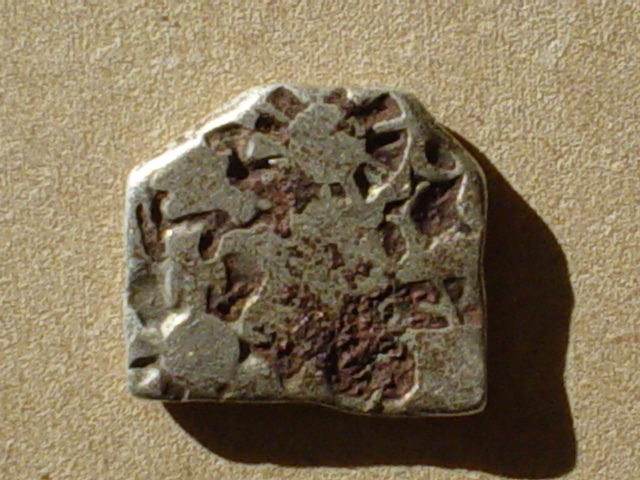 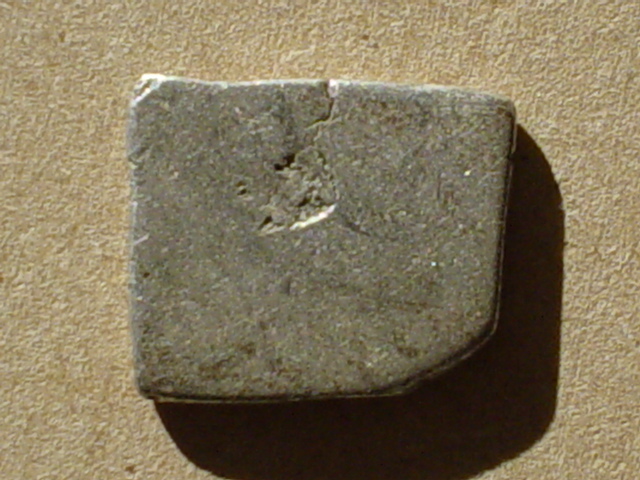 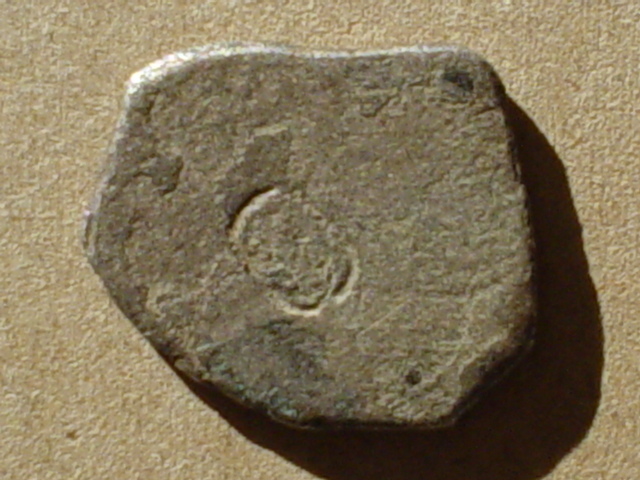 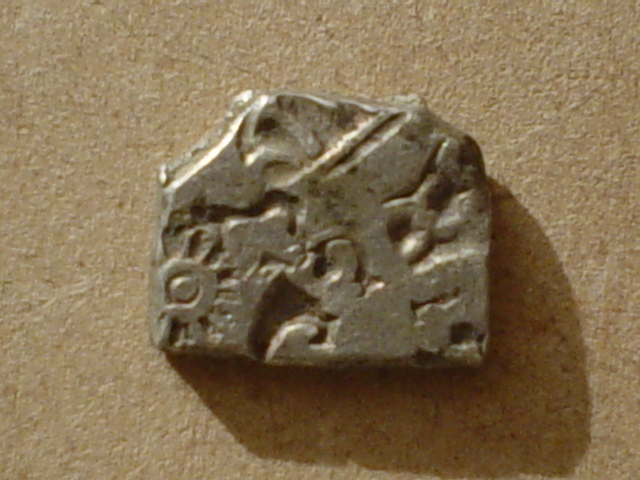 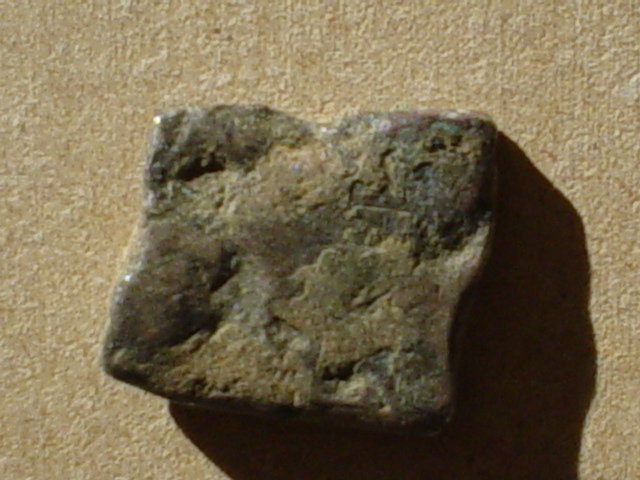 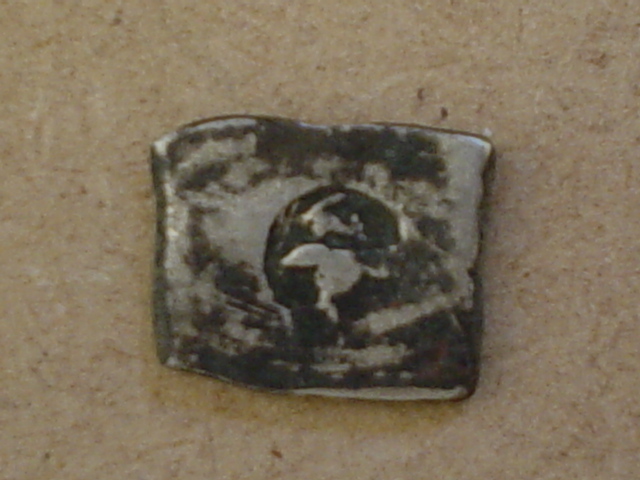 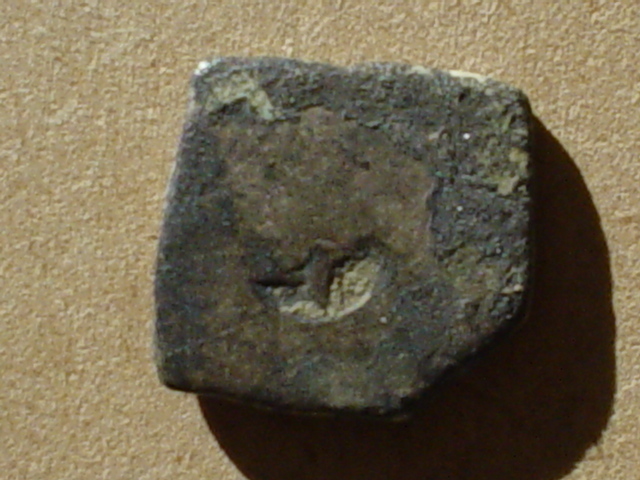 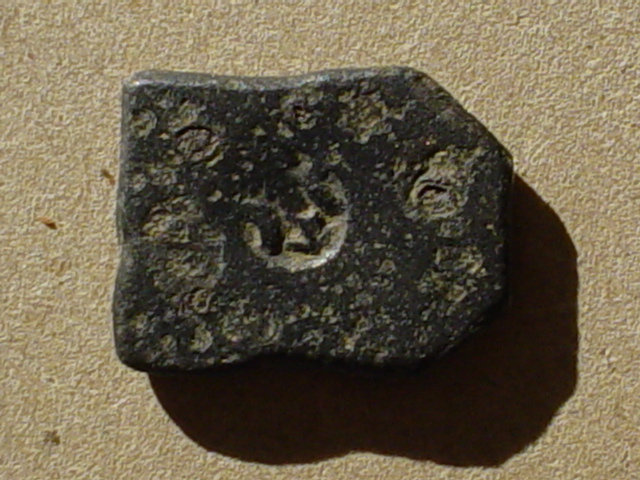 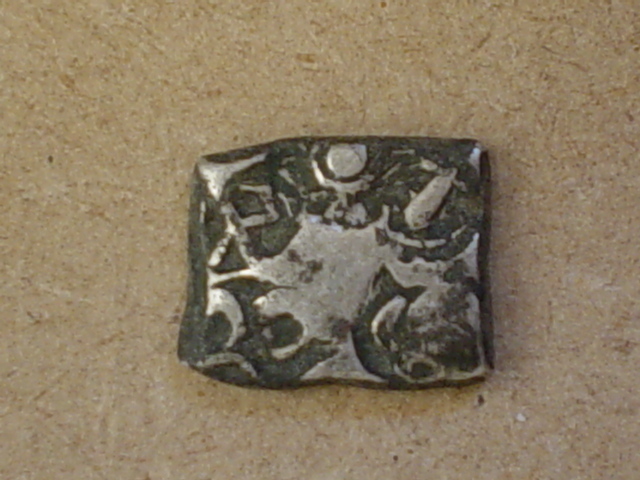 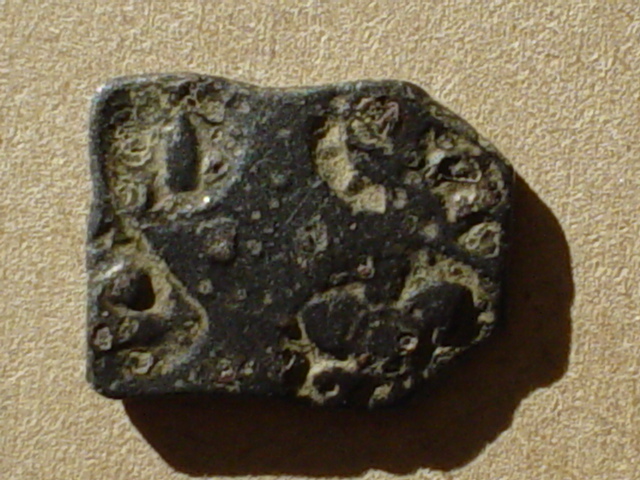 Mint: (Pataliputra ?). 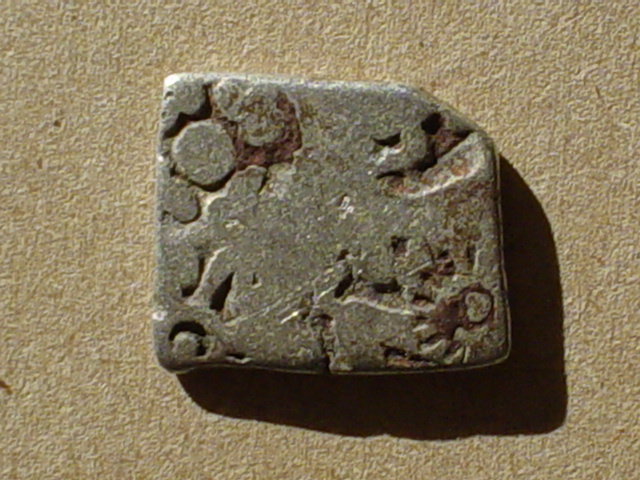 Obverse: Five punches: stupa/ tree-in-railing/ bull + sun & 6-armed symbol. 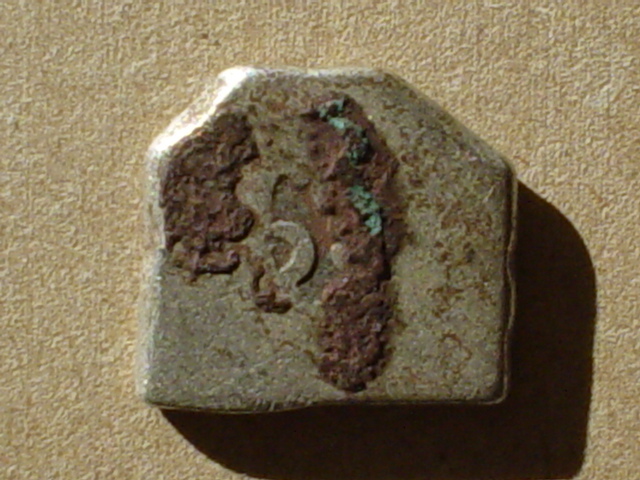 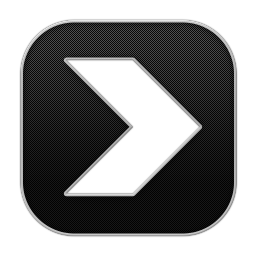 Reverse: Septa-radiate symbol. 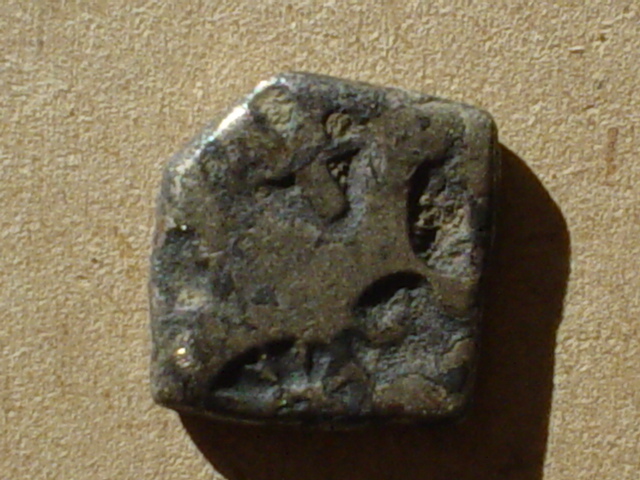 Weight 3.37gm. 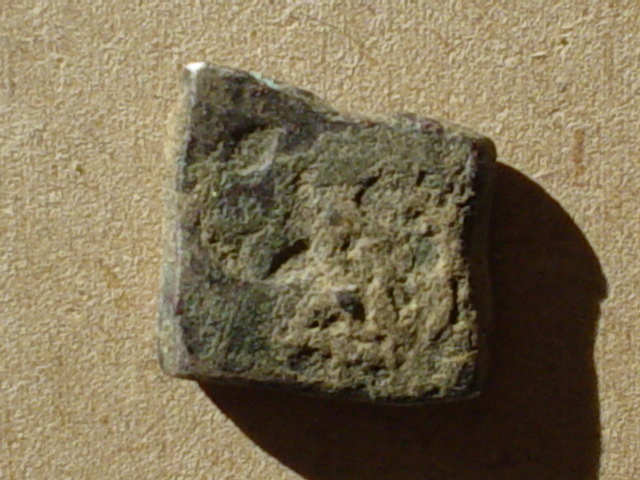 Diameter 14x13mm. 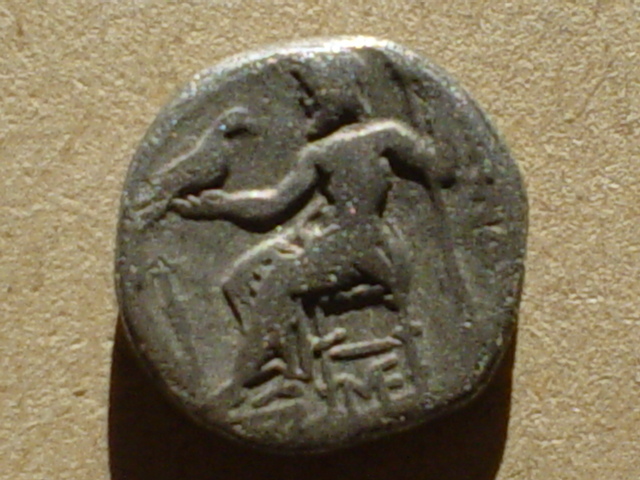 Reference MACW 4195-4196; attributed to Samprati, 216-207 BC. 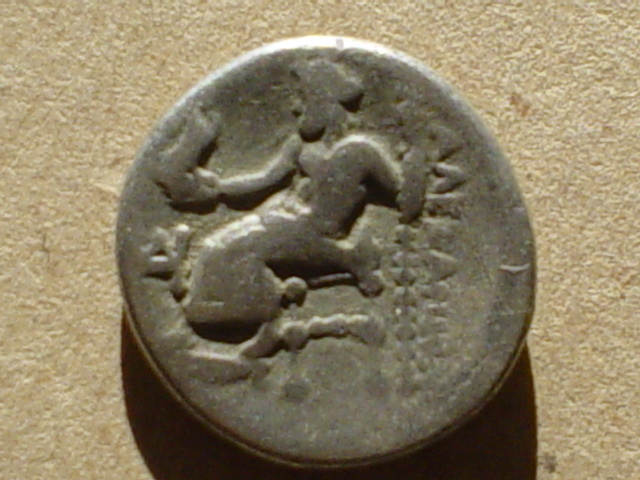 Mitchiner, in his Oriental Coins and their Values: The Ancient and Classical World (MACW) attributes various sets of marks to specific Mauryan rulers.Mitchiner's attributions, however, are not widely accepted and most scholars in the field do not believe that the current state of knowledge is sufficient to assign these coins to specific rulers.